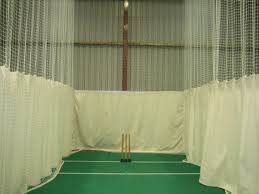 Don't forget that indoor nets start tonight at at the indoor facility at Chingford CC. The enterance to the ground is via Kimberley Way, Chingford, E4 6DE. Sessions will be held in the run up to the new season on a Friday evening starting at approximately 8:00 pm and will last for one hour. A small charge will be made to cover the £20 facilities hire. Please let Jim or Mike know if you will be attending via text or Twitter.